Excuse us for living, but sometimes in our experiences the stars align and the results can be quite rewarding. And so it was recently for me reading a book, seeing a movie, and discovering an anniversary. The Book: Late fall 2014 I started reading a book I had picked up a while back in 2012. I found it in, of all places, a book shop on the campus of Cambridge University, England. To say I don’t go there very often would be an understatement of grand proportions! We were on a tour of the UK and Cambridge was on the itinerary one rainy day. The book, Churchill’s War Lab, 2010, by Taylor Downing, looked intriguing. The subtitle, Code-Breakers, Boffins and Innovators: The Mavericks Churchill Led to Victory, really peaked my curiosity. This is the book that started my little adventure. 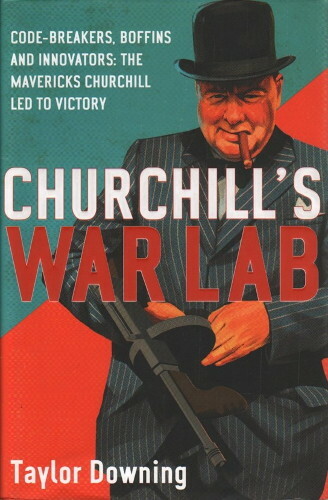 While it is not a definitive book on the life of Winston Churchill, it does make a contribution in explaining Churchill’s War Lab within the context of his life experiences. Churchill’s considerable military career had much to do with his thinking & motivations. And his keen interest in all things military & innovative were responsible for Churchill showing up on or near battle fields during World War II from Africa to France & even Germany. It took the King himself to stop Churchill from showing up on board HMS Belfast, the flagship of the British naval commander, on D-Day itself, June 6, 1944. On June 12 Churchill crossed the Channel in a destroyer to Normandy to witness two British ships’ bombardment of positions about twelve miles inland. Taylor Downing, the author, is no academic scholar, though his other books focus on historical topics as well. – -No wonder, since he is a renowned British television producer and writer of more the 200 documentaries, including many award-winning historical programs. Therefore, while Churchill’s War Lab is not among the great offerings on the life of Winston Churchill, it is a delightful, straightforward book covering Sir Winston’s life with a dedication to documenting Churchill’s passion for innovation and the science of war. The book’s contribution is as an account of Prime Minister Churchill the war leader. His work and relationships with the military brass of World War II were intense. And it was in those dealings with the military that he promoted the use of maverick scientists and radical scientific ideas to advance the Allies chances for victory. Churchill’s interest in innovation and warfare went back even prior to World War I when he served as First Lord of the Admiralty. 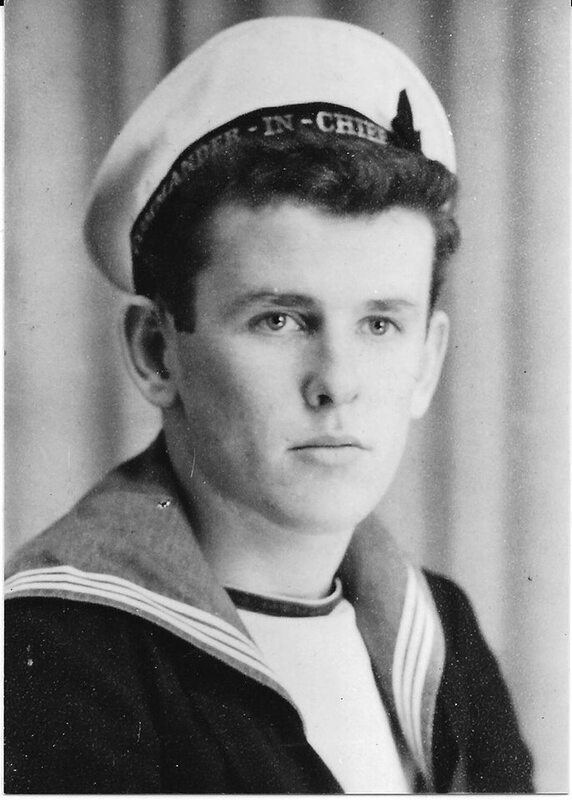 He was a proponent way ahead of his time of naval aviation in addition to promoting a new class of battleships. During World War I he pioneered Naval Intelligence by breaking the German message codes. When the Army rejected the idea of armored vehicles, Churchill used naval funding to develop “land ships” which became better known as “tanks.” But as Prime Minister during World War II, Churchill exercised his greatest influence to bring about innovation: the development and advancement of radar; the development of specialty tanks; introducing bouncing bombs; the construction of two giant harbors, code-named “Mulberry,” thus “Mulberry harbors,” the equivalent of 10 miles of floating roadway built in Britain for D-Day, one for use off Omaha Beach for the Americans and the other off Gold Beach for the British; and the expansion of Bletchley Park, the country-house estate north of London, where the German Enigma codes and machines were broken. The Movie: It was at the halfway point in the book, Churchill’s War Lab, that my interest peaked with mention of the name, Alan Turing, arriving at Bletchley Park. – -The same Alan Turing, the subject of the new movie, “The Imitation Game,” released in late November 2014. He was the “top-level mathematician and mechanical engineer, he was a fellow of King’s College, Cambridge, and had written a pioneering paper on computable numbers before the war.” The die was cast…I had to see this movie!!! And so I did late December 2014. 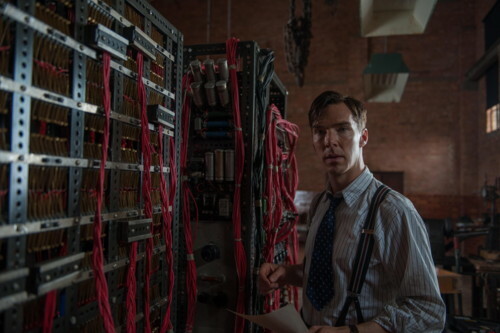 It was there at Bletchley Park that Alan Turing was to develop the means to crack the Nazi Enigma code. At this important juncture both movie and the book I was reading complimented the story telling. 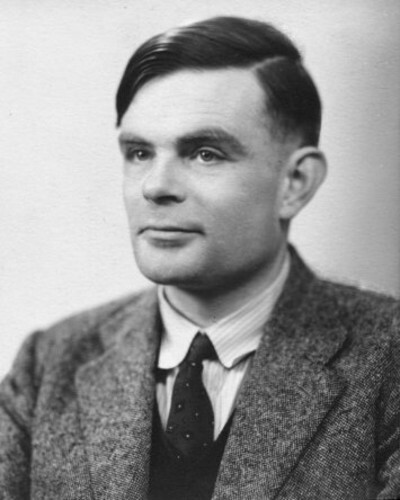 Turing was hampered by being vastly understaffed and being dragged down by bureaucratic red tape. Taking advantage of a visit to Bletchley Park by the Prime Minister, Turing and three associates follow-up by writing to Churchill directly over the heads of their superiors appealing for more staff. They requested additional typists and clerks and the “removal of various bottlenecks.” The result, Churchill sent his military chief, General Ismay, the following memo or “minute,” as they were called; “Make sure they have everything they want as extreme priority and report to me that this has been done.” It was stamped with one of Churchill’s famous red “Action This Day” stickers! Within a month the expansion of Bletchley Park had begun, erecting new buildings and recruiting two thousand new staff. And so Turing’s machine, nicknamed, “Christopher,” was built. The march to determine each day’s German Enigma setting had begun. – -But not without an intriguing difficulty to first overcome! (Spoiler!) Once up and running, Alan Turing realized that they could not report every decoded message, To do so would tip off the Germans that Enigma had been broken and the Germans would remodel it. Thus, Turing and his team were left to “play God” with people’s lives. Likewise, Churchill received the daily reports of these “Wizards” from “Ultra,” the secret headquarters, and determined who would and would not receive benefit of vital strategic information. – -Altogether, a story and a good bit of acting that are the stuff of Academy Awards! The Anniversary: Some factual information would be nice and helpful at this point. 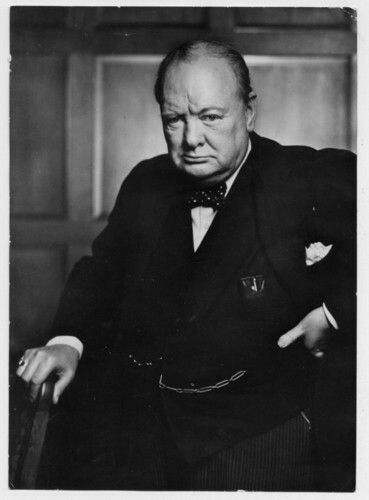 Winston Churchill was British Prime Minister serving twice, from 1940 to 1945 and from 1951 to 1955. He was born way back on November 30, 1874 and died January 24, 1965 at the age of 90. “Excuse us for living” must admit an enriching experience with book, movie, and ending with the 50th anniversary. –Now I can’t wait for the Academy Awards in a few weeks! I saw the ” imitation game” last week- finally!!! I have to say it was by far the best movie I have seen so far! Wow! A well researched and informative post! Very interesting reviews – of the book and the movie! I haven’t seen the Imitation Game but now I am thinking to watch it on Sunday 🙂 I will take a look at the book, Phil. It sounds an interesting historical book, many thanks for awesome reviews! Gosh darn it, as in – in I just finished pouring out my heart about the magnitude and caliber of many men from this era and then I magically deleted it! At any rate, Phil, very interesting! These are the kinds of things I love sitting and listening to, and wondering if any of our current generation will have characters who (even if by sinergistic effect on each other) are capable of leaving such a mark on the world…history? I hope it’s one of the “good” guys. Yep, France and England really created a post WW I mess in that region and people don’t understand that the resentment linger and still festering. Turks smeared Brits at Gallipoli so broke up Ottoman Empire to get even. Brilliant, Brilliant Brilliant!!! I DO REALLY need to start debating others in their blogs and you were 3rd I got to and THIS! WOW….Blew my mind away. Totally spot on with everything Churchill. Conservative (Thatcher, lol) but he did help win a War and save us all from speaking German, although I think the USA/UK would have Nuked Germany. The race to the Raising to place a flag over the Reichstag is a story I loved. To think IT ALL started when Hitler burn the Reichstag to the ground on 27th February 1933 to blame the opposite and this, as you know led to his popularity an the NAZI party getting the people behind them, only to be shocked later at the end of the War..
Good men surround themselves with other good men Philip. Often we make friends and lose friends. But people that can debate stay friends, you are one of these people. You are a good man!